From Los Angeles to New York, and back again to SoCal, Matt Seigel knows his way behind the bar on both coasts. Before becoming the owner and chief operator of In The Spirit Of Hospitality, Seigel – an LA native – spent three years in the Big Apple working at Eleven Madison Park and The NoMad. We were even lucky enough to make some boozy bourbon ice cream with the former Make It Nice bartender. 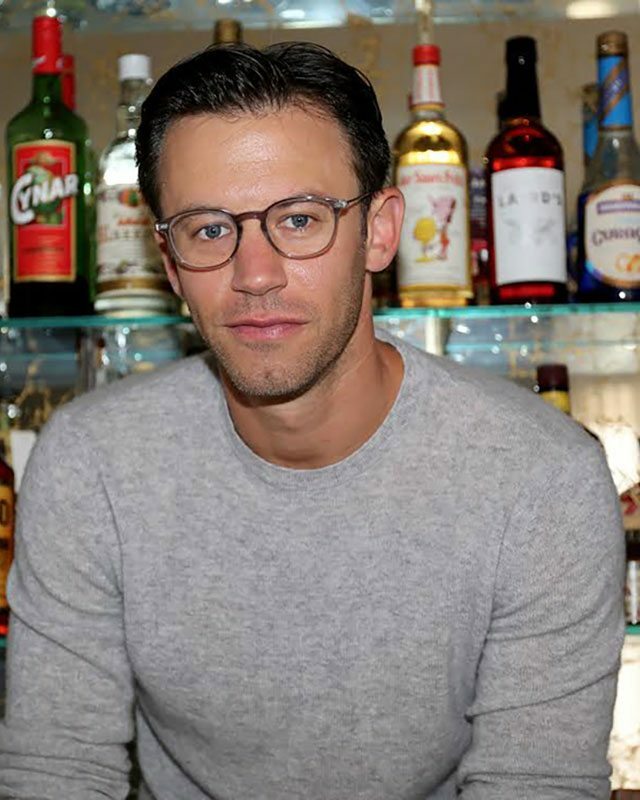 In his new role with the beverage, hospitality, and music consulting company, Seigel worked on the program for the new HWood Group restaurant Delilah, and he’s traveling to Mumbai to collaborate with BK Hospitality. When he’s not abroad, we’re always down to grab a drink with Matt – and so, we had a few. 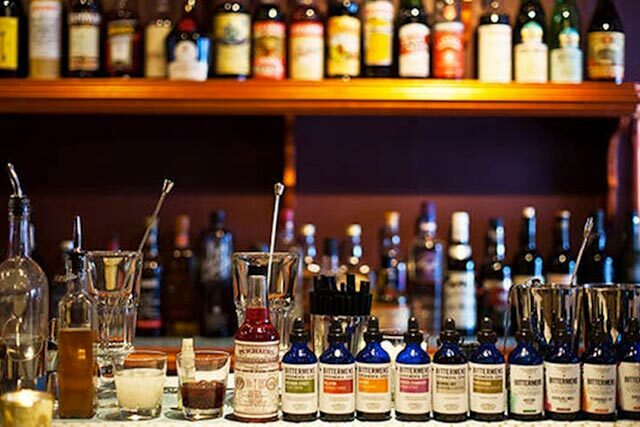 It’s hard to just pick one favorite place in New York, there are so many incredible places to drink, but if I had to narrow it down to just three my list would be: La Compagnie des Vins Surnaturels, Amor Y Amargo and, of course, The NoMad. Favorite LA place to hang out for a drink? Honestly my favorite place to drink in L.A. is brother’s house, I get to hang out with my nephew and be close to family, plus his liquor and wine collection is crazy! A go-to drink order is almost an impossible question; there are so many variables at stake. But if it had to come down to just one, and it had to be a cocktail, it would probably be a Bourbon Old Fashioned. I’m a fan of simple, classic, well-balanced drinks. What’s a drink you never order? I have never ordered a Champagne Cocktail. Now, I have certainly both made, and consumed, some delicious drinks with Champagne as the base, but that particular drink is such a waste. Why ruin a perfectly good glass of wonderful Champagne? What are your thoughts on over-the-top garnishes? I think over-the-top garnishes are totally fun! You eat and drink with your eyes first, right? However, they must be done right and in a timely fashion, if you take a minute to make my drink and 5 minutes getting your garnish together we’ve got a problem. Mise en place! First job in the industry? What were you doing before then? Strangely enough my first job in the industry was at Eleven Madison Park. Crazy, I know. Jumped straight into the deep end! Before that, I was in the music industry as – amongst many other things – a Record Producer and I toured and performed as a DJ. I sort of did it backwards, where I was successful in music but secretly always wanted to own a bar, rather than the typical story of someone working in a bar or restaurant to support their music career. Strange, I know, but now I get to do both! I feel very lucky. I’m pretty sure it was Boone’s Farm, Olde English, and Special Brews at a party in High School. Funny that now I’m going back to those ingredients to re-create fun variations on some classics. I had someone recently tell me on more than one occasion that, “No one in L.A. drinks rum!” That really bothered me because: 1) I know that’s not true, and 2) I’m a massive fan of rum. Aside from that, I think that the low ABV movement is a wonderful thing, I’m really happy to see people using wine as an actual ingredient, and going deeper into Vermouth past Martinis and Manhattans. I am a massive proponent of beer and wine based cocktails, but also just using them as tasty ingredients. I’m also really enjoying the trend of re-creating horrible old “classics” but updating and putting time and thought into them. Cocktails are supposed to be lighthearted and fun, it’s about time we stopped nerding out in dark underground dungeons. Coffee or tea? What’s your order, from where, and why? Until I started working at EMP, I had barely had more than two cups of coffee in my life. One tiny sip of cold brew, and I’d be bouncing off the walls. Now, I’m a full-blown coffee fiend. That being said, I’m still a tea man at heart. There is a gentleman named Chris Day, one of the most important people as far as pushing the tea culture forward in New York City, who really took me under his wing and guided my love for tea, not only did he help me train my palette but really understand and develop a deeper appreciation for the leaf. Trust me, tea tasting makes wine tasting seem like a breeze. I made both him and myself a promise that I would do my best to bring the cocktail and tea worlds closer together. To this day, I have had a tea component in every drink menu I have ever worked on. 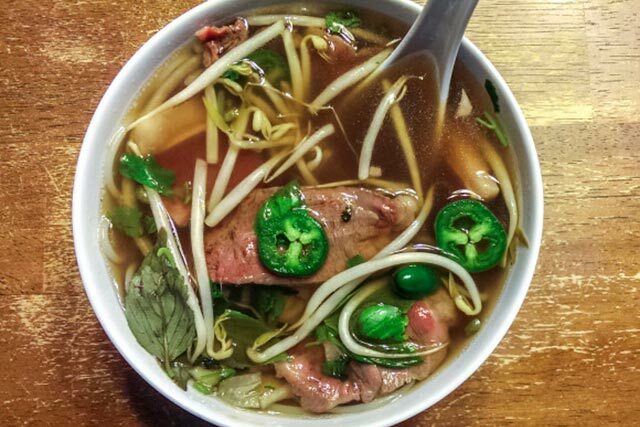 The ultimate hangover remedy is piping hot Pho for breakfast. Now, I know most people would say some outrageous Tiki cocktail, but the truth is I love Tiki cocktails, as well as the culture, so I’m not claiming that as a guilty pleasure. I don’t feel guilty about that at all. That being said, the one time I was in The Bahamas I drank pretty much nothing but Coconut Rum on the rocks. All day, every day. So insanely sweet, but I didn’t care one bit – no shame! I also just kinda love Velvet Falernum. My buddy Shaun used to make this Brown Butter Falernum. Dude – forget it – it’s over. Now that I think about it, there is nothing as yummy and guilty as that! Most creative drink you’ve made? I’ve certainly had some fun making really progressive and savory Tiki drinks like Piña Colada variations with Smoked Squash Puree, Toasted Coconut Syrup, Cream Sherry, and Pisco or another one with Crème Fraiche, Aged Cachaça, some more of that Toasted Coconut Syrup, Cognac, and Averna. Getting back to my tea roots, I’ve made a couple Milk Punch batches – a process that can sometimes take up to two or three days – that have stood the test of time. Or, a drink called Broadway Gardens where I took Silver Needles Tea, stuffed it in a bottle of Blanco Tequila, then stuck the bottle of Tequila in an immersion circulator, that process purposely over steeped and essentially burned the tea but since it was stuck inside of the bottle and the steam couldn’t escape it not only infused but smoked the tequila as well. Then paired that with a touch of Mezcal to play up the smoke note, Douglas Fir Eau De Vie, Agave, Lemon Juice, and Suze and then threw a stalk of celery in the tin when shaking. Super fresh, green, and snappy. There’s even a drink at Delilah where I pull out the inner petals of a rose and stuff it with a Rosehip and Hibiscus tea bag, then put said rose in the glass and pour the cocktail over it. The cocktail, which is clear, after having the tea encapsulated rose sit in it for a minute or so – even though you never actually see the tea because its hidden inside the rose – then magically turns the entire drink red. It’s really pretty and everyone’s experience will be different because depending on how long it takes you to drink your drink both the flavor and color will change. Anyone who’s built cocktails before will tell you that making a 3-ingredient all-spirit drink is one of the hardest things you can do. 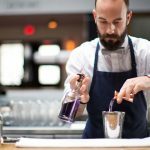 Finding that perfect balance is almost impossible, so when I got a 3-ingredient drink on the menu at EMP I was blown away! The programs both there, and at The NoMad, are so inspiringly progressive and are blessed to have access to such incredible ingredients both behind the bar and in the kitchen that we always want to take full advantage of that. All of that being said, the program there is still deeply rooted in the classics, while also looking to emulate flavor profiles that a guest would see in the dining room. A few seasons ago there was an iteration of the now classic Milk & Honey dessert on the menu. Using the flavors of that incredible dessert as inspiration I made a drink called the First In Flight using only Mead, Drambuie, and Applejack. The Mead and Drambuie combine to create a beautiful, warm, rich, honey note where the Applejack really gave it some good backbone and apples and honey are just beautiful together. Right after the last tasting we did actually decide to rinse the glass with Islay Scotch, which really made for a wonderful nose, so I guess technically 4 ingredients, but only 3 in the glass. Where is your fave spot for a super chill night out or date night recommendation? 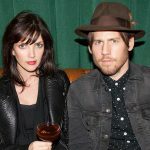 Favorite NYC / LA gems that might not be on everyone’s radar? In New York, Compagnie on Centre St. is literally the perfect date spot. Wine, food, music, vibe, service…always 100 percent on point. 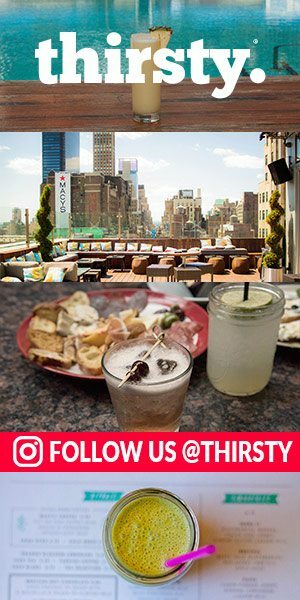 I always have a great time at Attaboy in the Lower East Side or Little Branch in the West Village. During the warmer months Grand Banks, which is a boat that’s docked at Pier 25, is a pretty amazing spot as well! Lastly, there’s a Champagne bar called Riddling Widow also in the West Village that isn’t open quite as late as some of the cocktail bars, but it’s wonderful. So small, so good. And the woman who runs it is so sweet. Honestly, who doesn’t want to go to a place that describes itself as “An Underground Champagne Parlor”? In case you haven’t noticed, I really like champagne. Do you have mentors or someone you look up to in the industry? Yeah! A lot! People I look up to? Definitely! Fortunately for me most of those people are one and the same. Leo Robitschek, Jim Betz, Pietro Collina, Theo Lieberman, Shaun Dunn, Joey Gizzi, Janice Barnes, and Alex Ramirez taught me everything I know. Will Guidara and Daniel Humm are the most inspiring people I have ever had the pleasure of working with and I am honored to call them my friends, Gabe Stulman falls in that category too. Anyone who has worked behind the bar at The NoMad is an inspiration to me. Even though I no longer work for that bar program I am a proud flag bearer and can tell you honestly that there is no one in this business that is more dedicated then that team. There’s just too many to name! Growing up I thought I was going to be a professional baseball player – although I’d bet most boys grow up thinking the same thing. I have somewhere around 7,000 records. My dad taught me to drive when I was 13, do some things right-handed and some things left-handed. I can hear in color. My brother is my biggest inspiration. Straight update and shameless plug time: what are you working on these days? Let’s hear it! I just finished my first project with HWood Group. 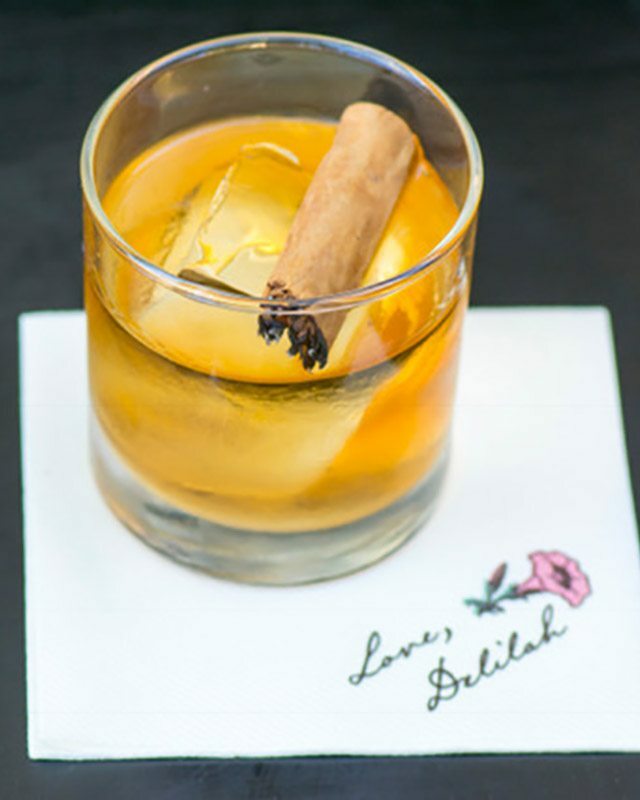 I did the cocktail program for their new restaurant Delilah in West Hollywood including a drink we did for Drake called the Champagne Papi – remember all that stuff I said about not ruining wonderful Champagne? Well, this is obviously an exception. They are really doing some great things over there and that place is going to be pretty incredible. Very happy to be working with that team. Simultaneously, I am crafting the music programs at the new Make It Nice restaurant called Made Nice as well as the highly anticipated The Shaw Bijou in Washington D.C, DJing the Masquerade Ball at The NoMad Hotel on October 29th (without a doubt the best party in all of Manhattan), and will spend the entire month of November in Mumbai curating the cocktail program for a beautiful fine-dining restaurant called It Happened In New York. When I get back I will finish the year pushing towards the opening of a restaurant called Melody in Silverlake, directly across the street from Sqirl where I will actually be a minority partner. I am working with two incredibly talented gentlemen as well as an amazing chef and we are opening a restaurant/wine bar that is very music and design forward with light, thoughtful, yet comforting fare. Now, just because it’s a beer and wine only bar, don’t think for a second that I won’t be cooking up some really fun low ABV, beer, wine, and malt liquor cocktails. Think Thunderbird, Mirin, and Dry Vermouth Caipirinhas, or Boone’s Blue Hawaiian and Sake Piña Coladas alongside really fun beer and a progressive, yet crushable wine program paired with a raw bar, a chef driven yet neighborhoody menu, incredible music, and a beautiful outside patio.